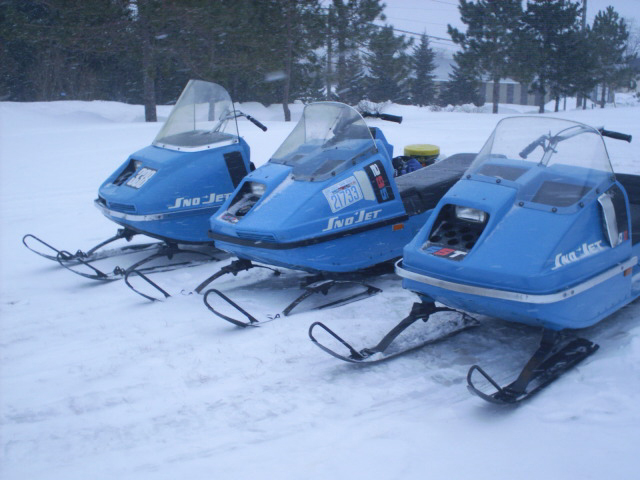 Here are the 3 original machines, 1972 SST 433, 1973 Starjet 338 and 1975 Astro Jet that had 138 miles on it at the time (has 160 now). 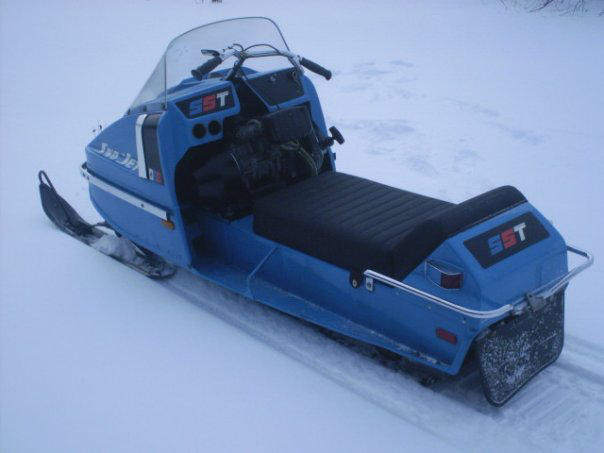 1972 SST 433, an earlier release... pretty much what they show in the posters with the bogey wheels. 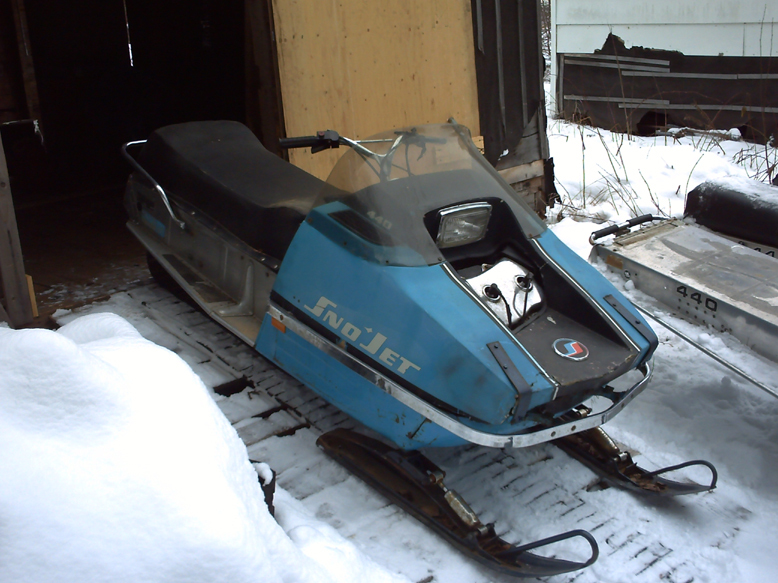 1974 Sabre Jet 440 which needs restoration but isn't in too bad of shape as this "as found" picture shows. 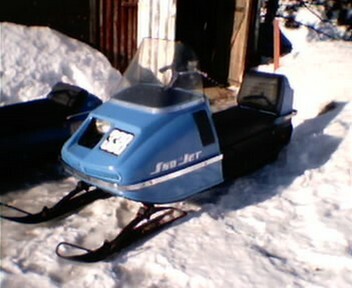 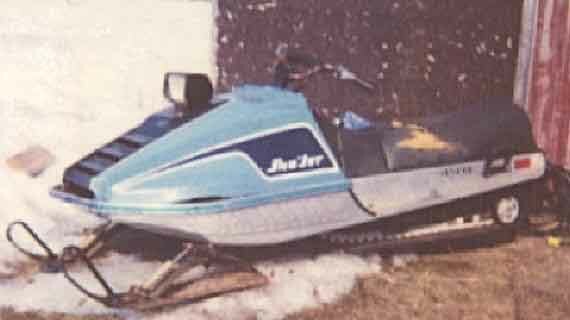 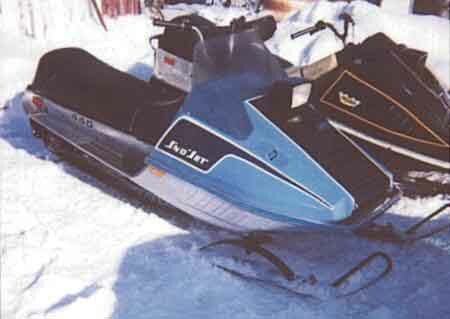 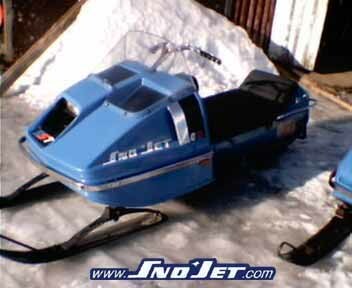 1975 SST which is a really nice original sled. 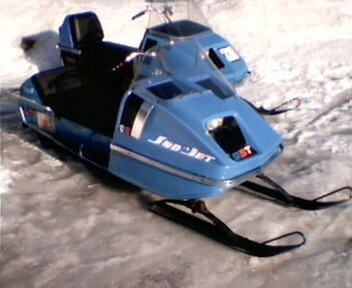 It actually has a Bombardier driven clutch right from the factory which is kind of odd too but that's what they used. 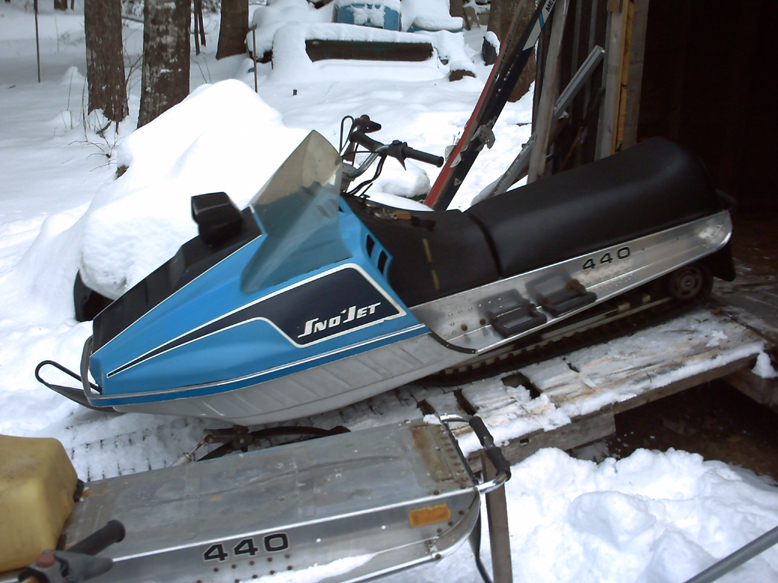 Steve also has a 76' which is close to being the same thing except for a few minor differences.